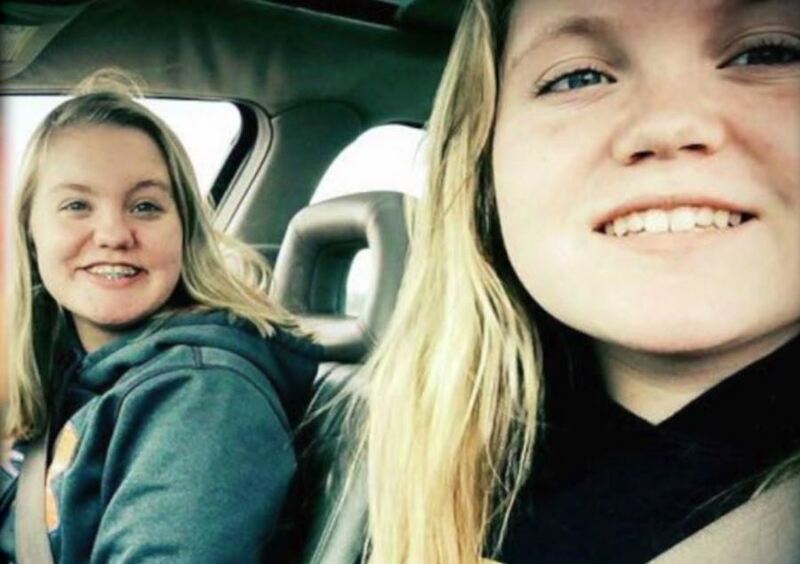 Kelsi German: "I swim every stroke for my sister"
This story is part of a special series remembering the lives of Abigail Williams and Liberty German, who were murdered in the small town of Delphi, Indiana. Kelsi German was looking forward to competing with and against her younger sister, Liberty, this year. Libby was an incoming freshman and one of the things she was most excited about was joining the Delphi Oracles swimming team. Kelsi is a senior – it would have been their only year to compete together. "As long as I'm here, she is here." “It would have been an ongoing battle between the two of us,” said Kelsi. Although she’s been swimming since she was in middle school, Kelsi says this year has taken on a new meaning since her sister’s death. The two shared an unbreakable bond. 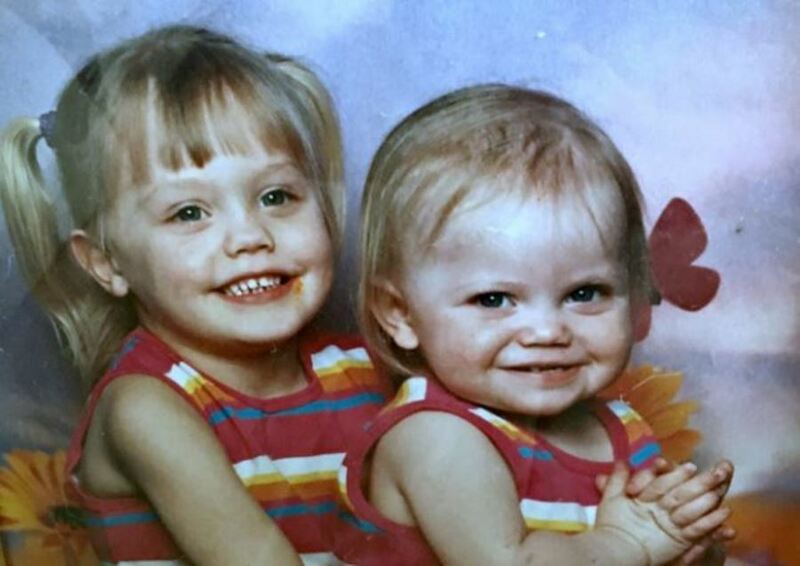 But it wasn’t just swimming – Kelsi says her little sister was also her best friend. After Libby was killed, Kelsi made a tough decision about her senior year on the swim team. Instead of competing for herself, she decided to swim in the events that Libby would have competed in, including the 200 and 500 Free Relays, something Kelsi says her body isn’t used to. Not only is she swimming her sister’s events, buts she’s carrying a piece of her with her as she does it. One day - in the year since Libby’s death - Kelsi went into her room to find a pair of her missing socks. Instead, she stumbled upon Libby’s swim goggles. Swimming is Kelsi’s happy place. "I'd rather swim for her then myself. And she uses it to separate herself from the world, to spend time with her sister and to grieve. 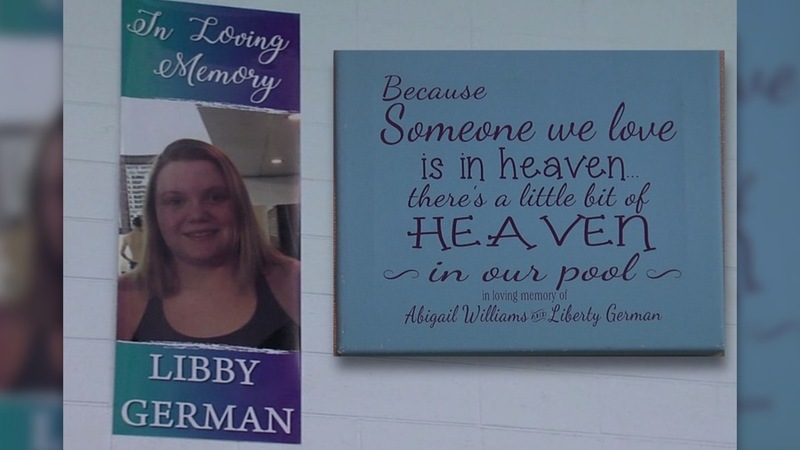 A memorial poster hangs over the pool - Kelsi says she looks up to that picture before every practice and meet, and talks to Libby.